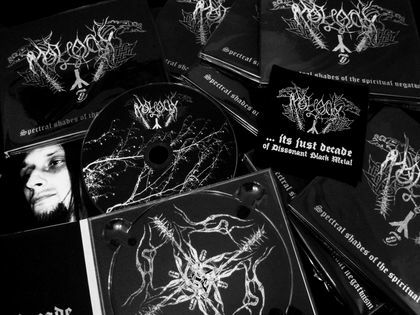 This release is a compilation of various Moloch tracks. Recorded at Moloch studio (Ukraine) in the various period of 2004-2012. First press was made by Cold Woods Productions (China) in 2012. Cat. Number: CWCD3. But due the quality of print of the first 500 copies is low. So, only 50 copies of first press exist, the rest were destroyed. 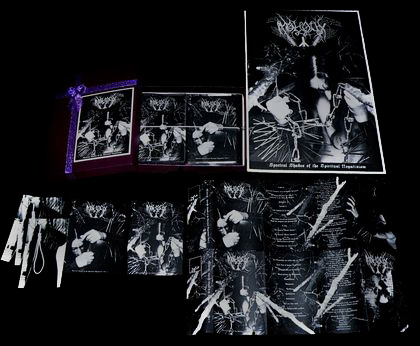 Repressed in 2013 as Digipak with new cover art, booklet and patches (but with the same CDs from first press). Also vere spread 20 Promo CDR copies in digipack package. 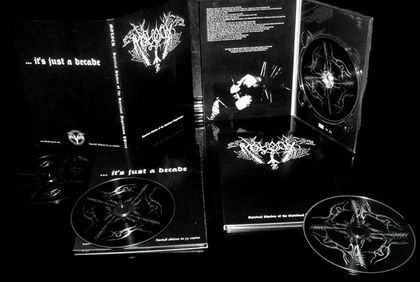 CD booklet of first edition written by silver print and has a mistake; the title on the front reads "Specteal Shades of the Spiritual Negativism" (on the digipack version are "Spectral Shades of the Spiritual Negatiuism") due to an error. Barcode of first press CD: 9787886066252 Matrix code: audio. Barcode of digipack edition are: 9787548519836. Chinese and english translation of lyrics made special for this edition. 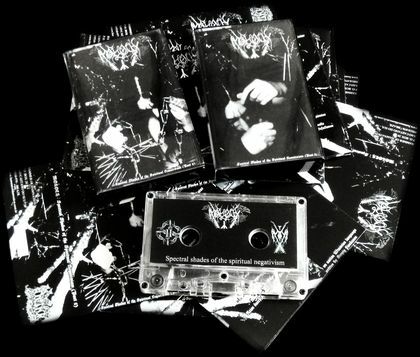 This is cassette edition of Blood War Productions (Mexico) in the same year. Catalogue number: BWP06. Limited to 100 copies with 2 sided b/w pro-cover inlay. 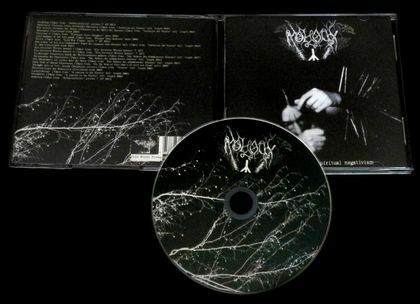 This edition included 2 bonus tracks: "Herbstnacht" 00:58 (Taken from “Misanthropie ist der einzige Weg zur Reinheit” full-length 2008); "Jotunheimr" 02:55 (Taken from “A journey to the Vyrdin” full-length 2008). This is Boxsed set edition of Fallen-Angels Productions (Korea). Limited to 15 copies. Included the same DOUBLE TAPE's (but with a bit different cover art) similar to Hammer of Damnation version + 2 cards, A4 Size Poster and 5 Stikers. White, Gold, Purple and Orange versions exist. This boxsed set also were included by the label owner in "The Beginning of the New Legend. Vol.ll". This is CDR edition of Predator Records (Mexico). CDR in A5 digipack. Printed in 2013. Catalogue number: PP006. Limited to 33 copies. Bootleg release of album were made in 2014 by Iron Clad Records (USA). They printed cassettes without band permission. Anyway I not sure if this label made physical copies of this release, because i never seen this tapes.